Contemporary furniture doesn't have to be boring or plain. 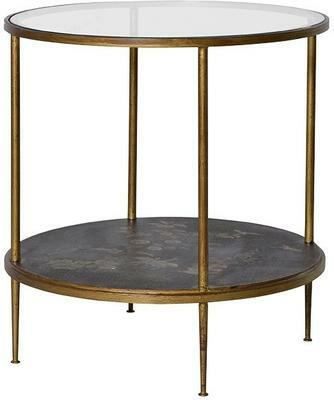 This Gold Lead Side Table with Picture Shelf lets you infuse your home with a modern yet unique style. 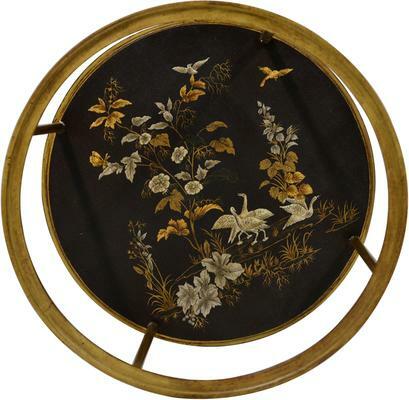 The side table features features a circular top glass surface that gives you an uninterrupted view of the decorative birds and flowers in gold leaf at the bottom shelf. 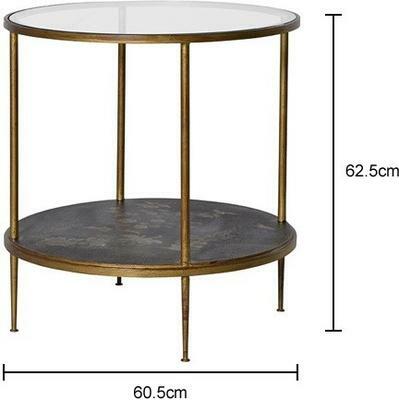 This unexpected detail gives the table a unique and charming look that's great for any type of interior. 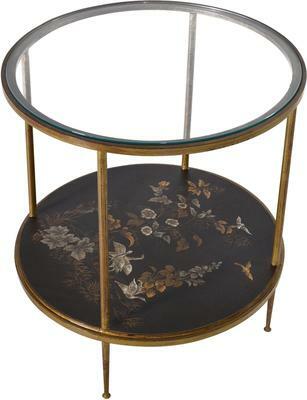 Use this as a functional side table or as a decorative one, it would work either way.